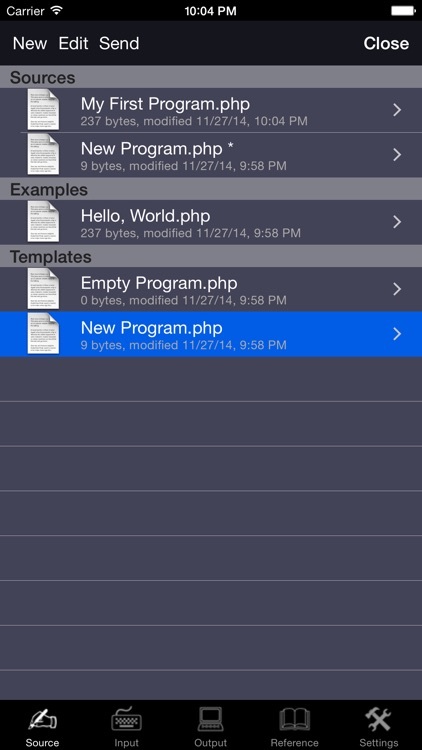 The classic PHP programming language for iPad, iPhone and iPod touch. Programming language is a perfect tool for studying, complex mathematical calculation, entertainment and many other useful tasks. 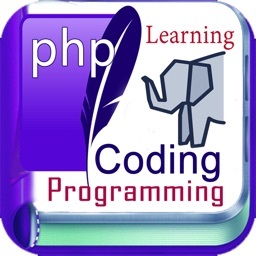 The application is especially useful for learning the PHP programming language. You have to buy compilations inside the application. Internet connection is required. 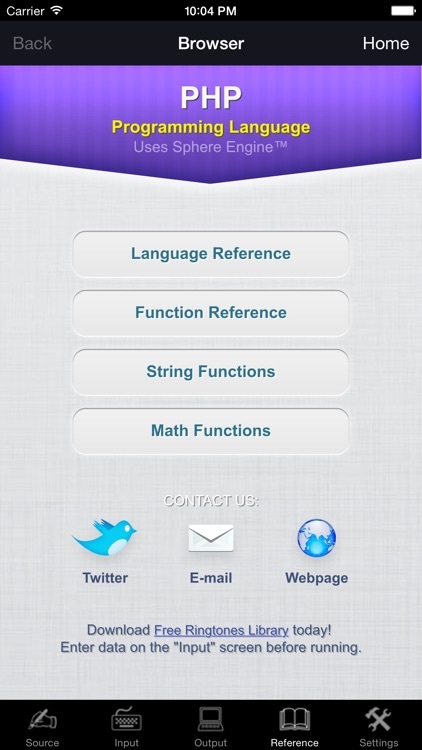 - The great programming tool on the AppStore. 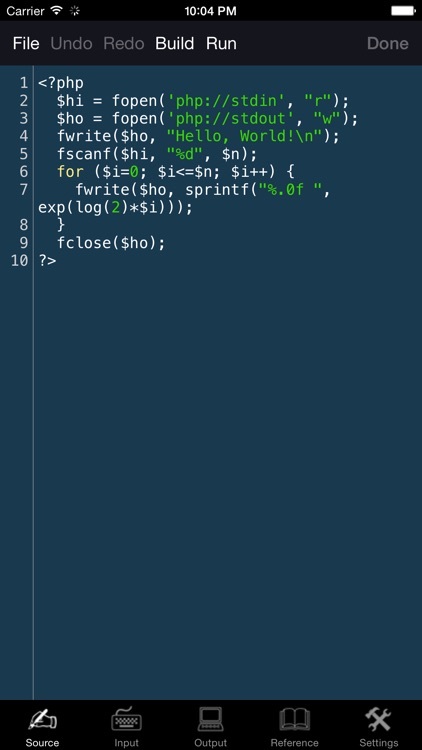 - Your programming language for iOS is amazing! - Compile and run your program. - Text input before program run and text output. - Enhanced source code editor with syntax highlighting, line numbers, color themes and additional keyboard. - Import and export programs by iTunes or by email. - Online language reference and several program samples. 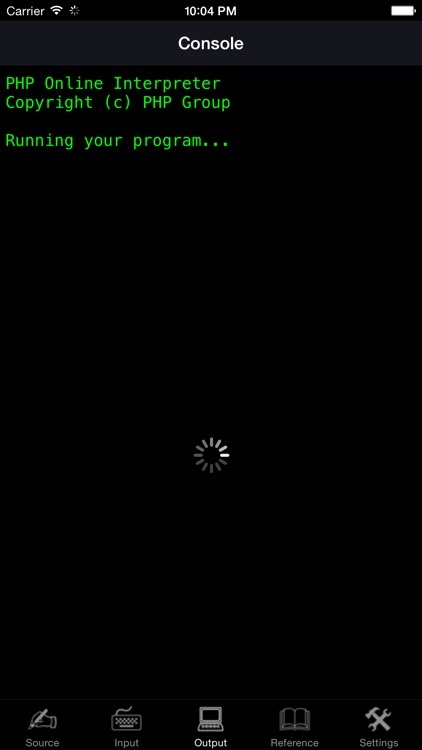 - Internet connection is required to compile and run a program. - Graphics, network, file system and real-time input are not supported. - Maximum running time of a program is 15 seconds. 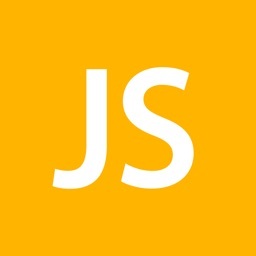 Look for the "JS Programming Language" on the AppStore too. Thanks for using the application! PHP is a general-purpose server-side scripting language originally designed for Web development to produce dynamic Web pages. 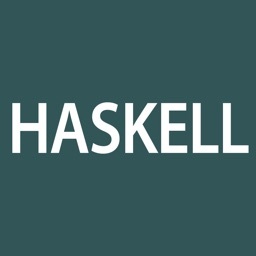 It is among one of the first developed server-side scripting languages to be embedded into an HTML source document, rather than calling an external file to process data. Ultimately, the code is interpreted by a Web server with a PHP processor module which generates the resulting Web page. It also has evolved to include a command-line interface capability and can be used in standalone graphical applications. PHP can be deployed on most Web servers and also as a standalone shell on almost every operating system and platform free of charge. A competitor to Microsoft's Active Server Pages (ASP) server-side script engine and similar languages, PHP is installed on more than 20 million Web sites and 1 million Web servers. 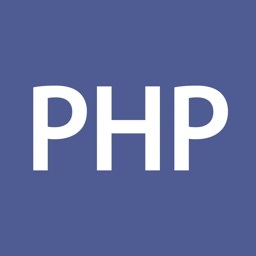 PHP was originally created by Rasmus Lerdorf in 1995. The main implementation of PHP is now produced by The PHP Group and serves as the formal reference to the PHP language. PHP is free software released under the PHP License, which is incompatible with the GNU General Public License (GPL) due to restrictions on the usage of the term PHP. While PHP originally stood for "Personal Home Page", it is now said to stand for "PHP: Hypertext Preprocessor", a recursive acronym. PHP development began in 1994 when the Danish/Greenlandic/Canadian programmer Rasmus Lerdorf initially created a set of Perl scripts he called "Personal Home Page Tools" to maintain his personal homepage. The scripts performed tasks such as displaying his résumé and recording his web-page traffic. Lerdorf initially announced the release of PHP on the comp.infosystems.www.authoring.cgi Usenet discussion group on June 8, 1995. He rewrote these scripts as C programming language Common Gateway Interface (CGI) binaries, extending them to add the ability to work with Web forms and to communicate with databases and called this implementation "Personal Home Page/Forms Interpreter" or PHP/FI. PHP/FI could be used to build simple, dynamic Web applications. 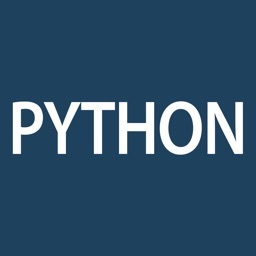 Lerdorf released PHP/FI as "Personal Home Page Tools (PHP Tools) version 1.0" publicly on June 8, 1995, to accelerate bug location and improve the code. This release already had the basic functionality that PHP has today. This included Perl-like variables, form handling, and the ability to embed HTML. 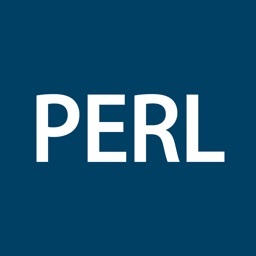 The syntax was similar to Perl but was more limited and simpler, although less consistent. A development team began to form and, after months of work and beta testing, officially released PHP/FI 2 in November 1997.